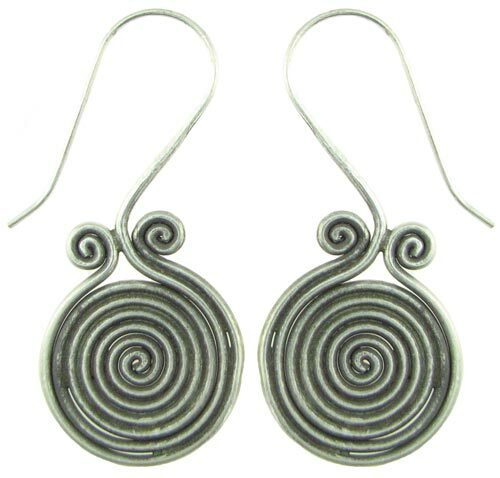 These new, traditionally styled silver large hanging coiled spiral earrings were hand made by the Karen Hill Tribe people of northern Thailand. The earrings are made from 98% silver. That's better than sterling silver! The silver wire hook posts fit "normal" un-stretched piercings.